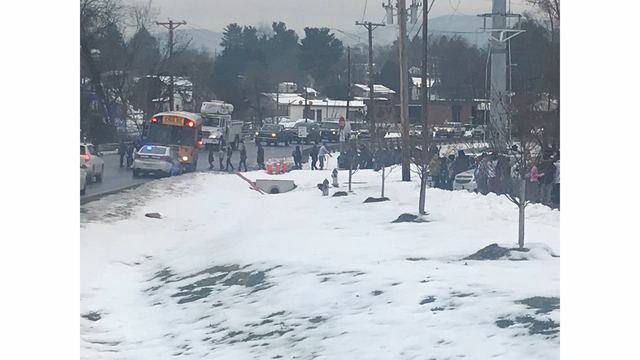 SALEM, Va - According to school officials, East Salem Elementary students have been transported to Andrew Lewis Middle School and will be dismissed at 10:30 A.M..
Officials say there was a maintenance emergency in the kitchen that triggered the school's fire alarm system. The fire department checked the building and there was no smoke, fire, or gas detected. Officials determined that students should not return to the building until the cause of the emergency could be determined. School officials say, if your child is a car-rider, you can start picking them up at 10:00 A.M. at Andrew Lewis Middle School. If there is not an adult at the bus stop to receive Kindergarten and first graders they will be returned to Andrew Lewis Middle School.